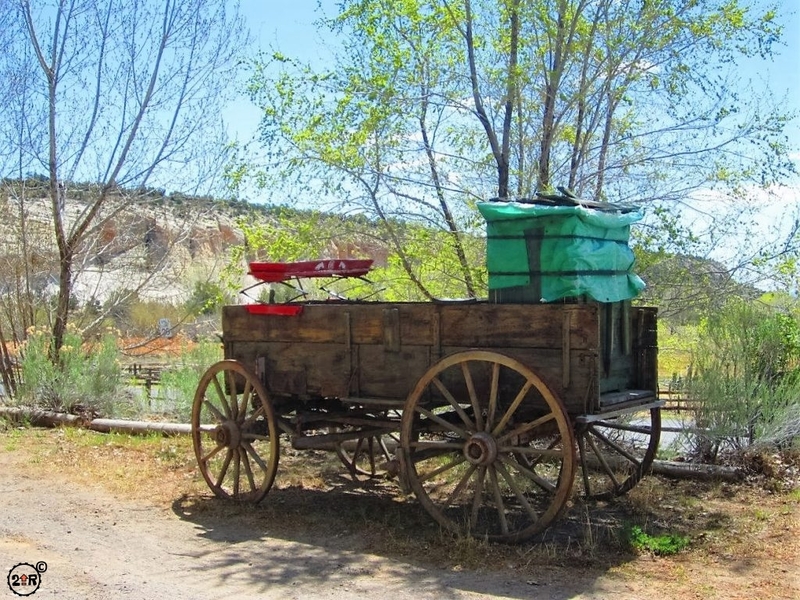 The Burr Trail is an historic icon in itself. 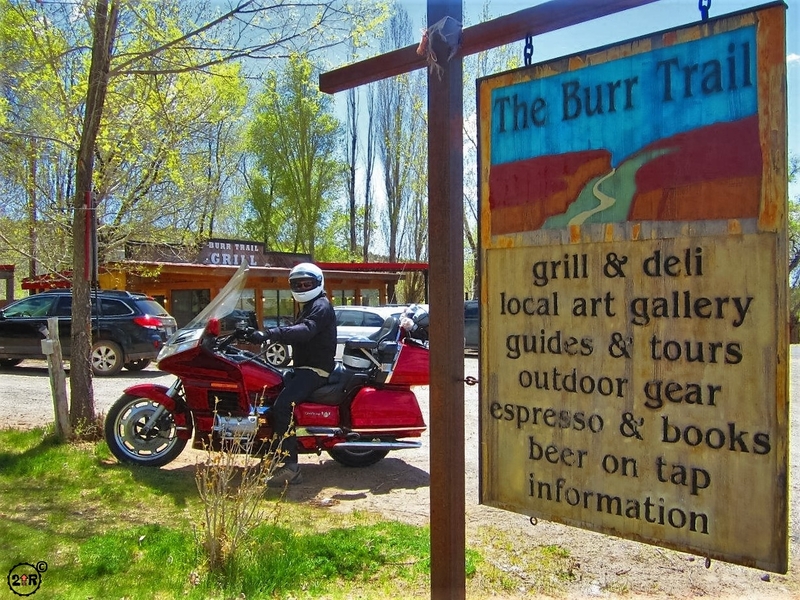 The Burr Trail was created by John Atlantic Burr to take his cattle from grazing areas in the lower winter ranges to the higher summer areas. Born somewhere on the steam ship SS Brooklyn in the Atlantic Ocean in 1846, his family settled in Salt Lake City. They later moved south and settled an area in 1876 that was later named Burrville. 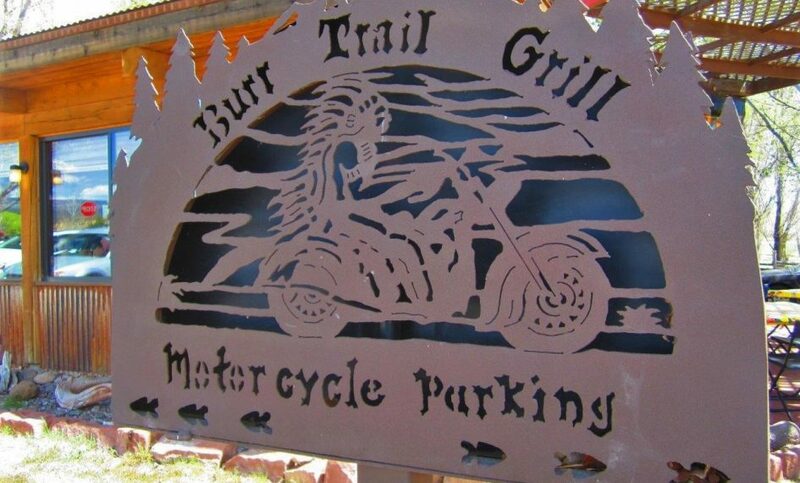 The trail begins in Boulder, very near the Burr Trail Grill. 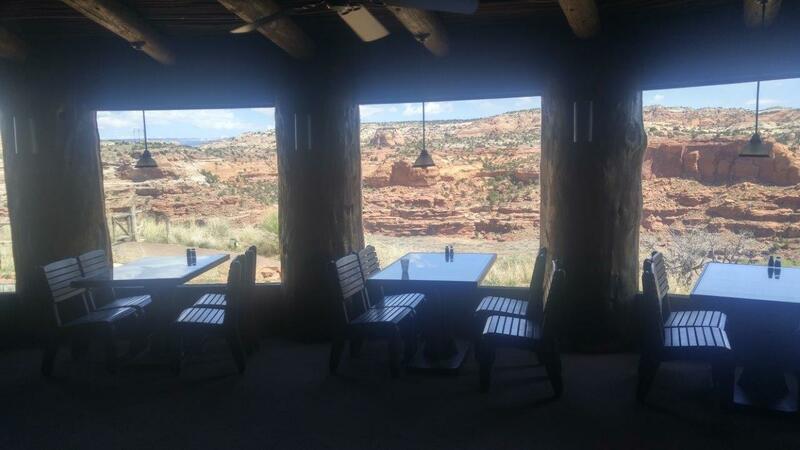 It extends over 65 miles from Boulder to Bullfrog on Lake Powell in the Glen Canyon National Recreation Area. 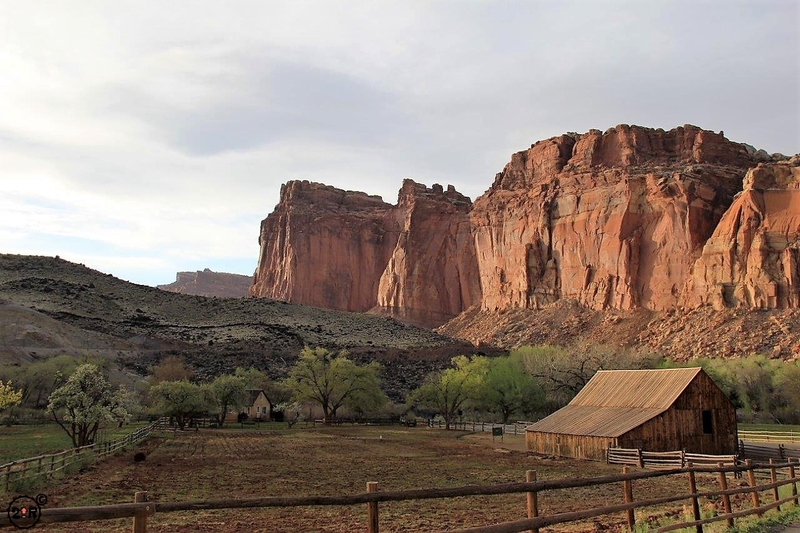 The trail takes you through the Waterpocket Fold, Muley Twist Canyon, and Burr Canyon while winding you through parts of Capitol Reef National Park and Grand Staircase-Escalante National Monument, ending at Glen Canyon NRA. There area several turn offs to other trails including a dirt road to a petrified wood natural area, and it meets up with UT 276 near Bullfrog. The road is passable to passenger cars when dry (high clearance is a good idea) but can be nearly impassable to all vehicles when wet. It’s paved for a good portion, but is a dirt road through the middle third. 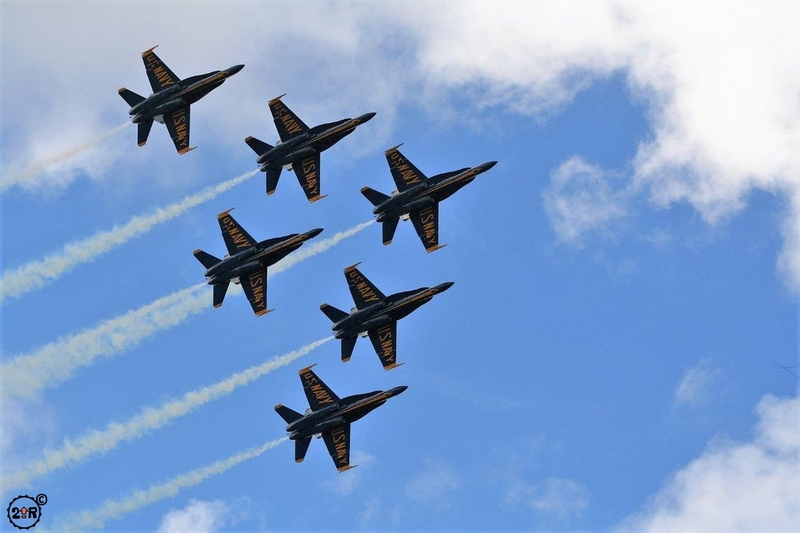 The National Park service has a road log and map to guide your visit. 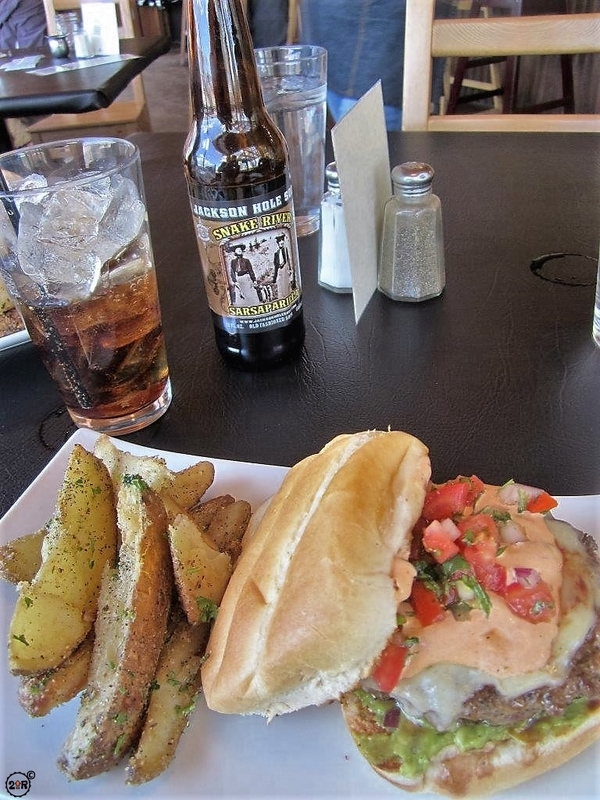 About halfway between Escalante and Torrey on UT 12 is a great restaurant serving mouthwatering burgers in a truly authentic setting. 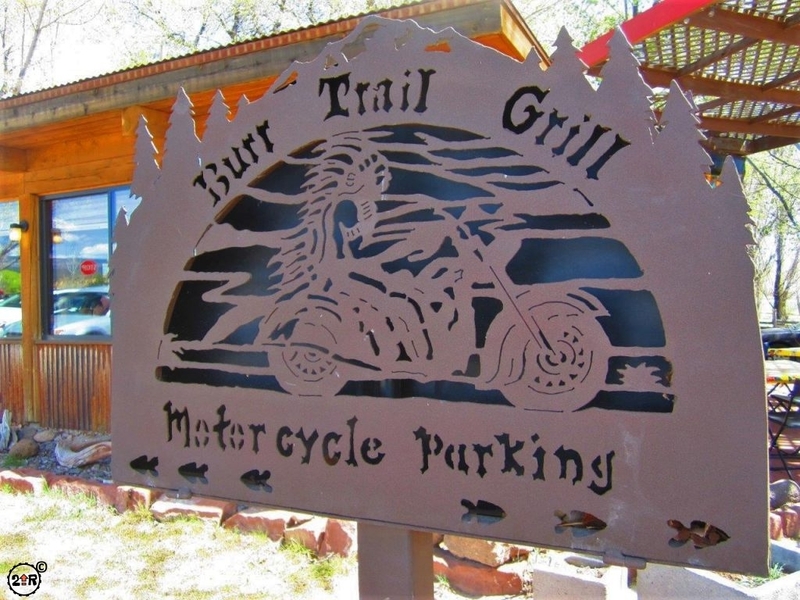 We found the Burr Trail Grill in the town of Boulder, UT to be an awesome lunch stop! 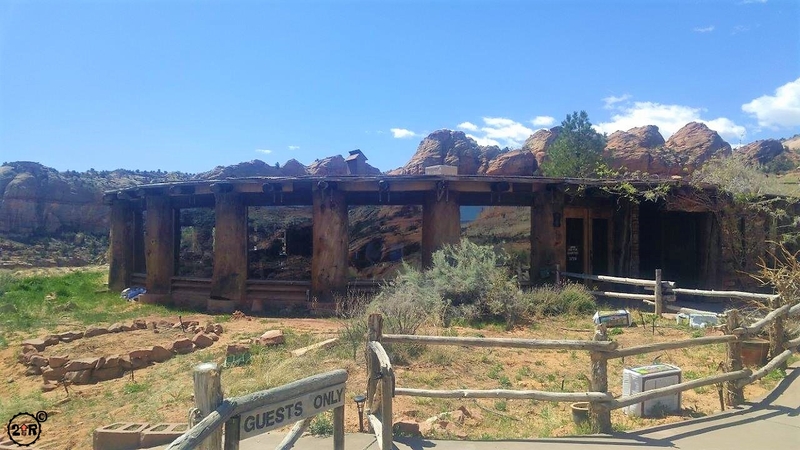 The restaurant is decked out in cool western decor both inside and out. 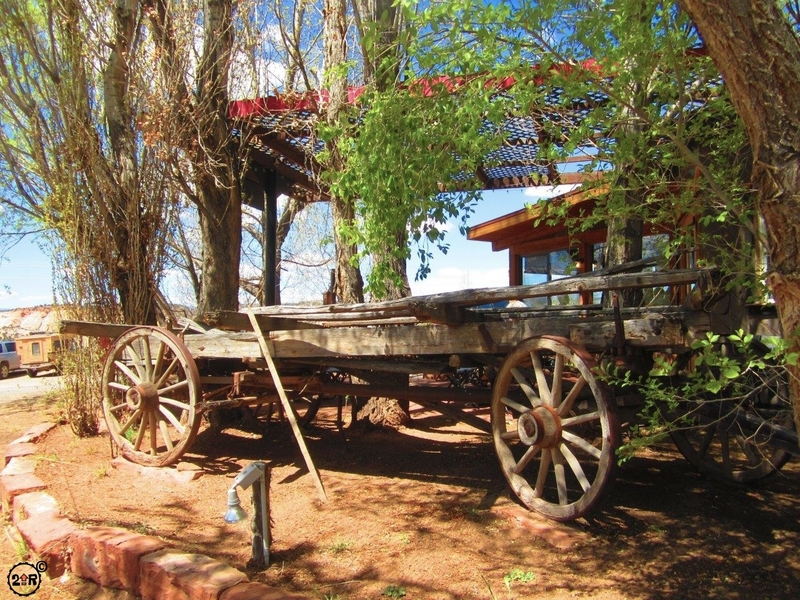 From old wooden wagons out front to a rustic wooden interior, you get the feeling that John Burr himself might show up any moment and take a seat next to you. 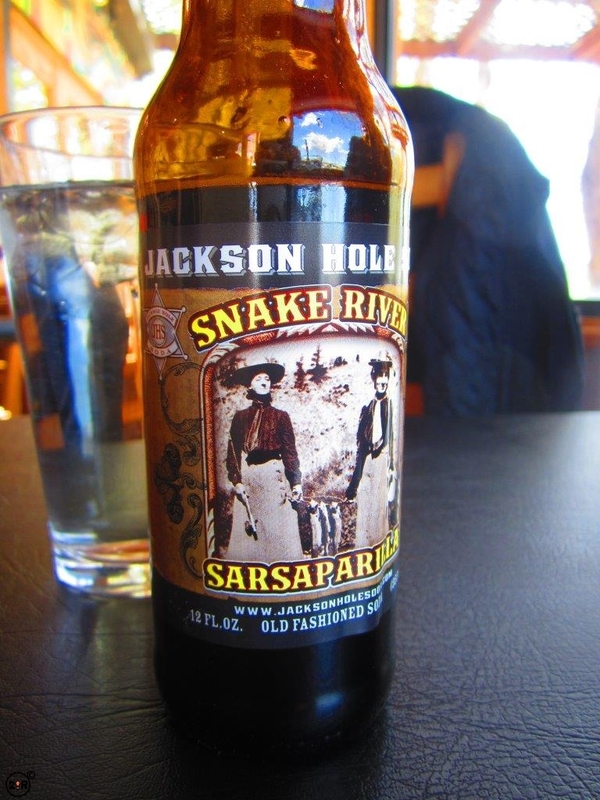 We were greeted by a friendly and welcoming waitress who was really fun to talk to. She explained that all of the beef is locally raised, grass fed, and humanely treated, which is a priority for us when we eat meats. She said all of the burgers were excellent and we couldn’t go wrong with our selections. 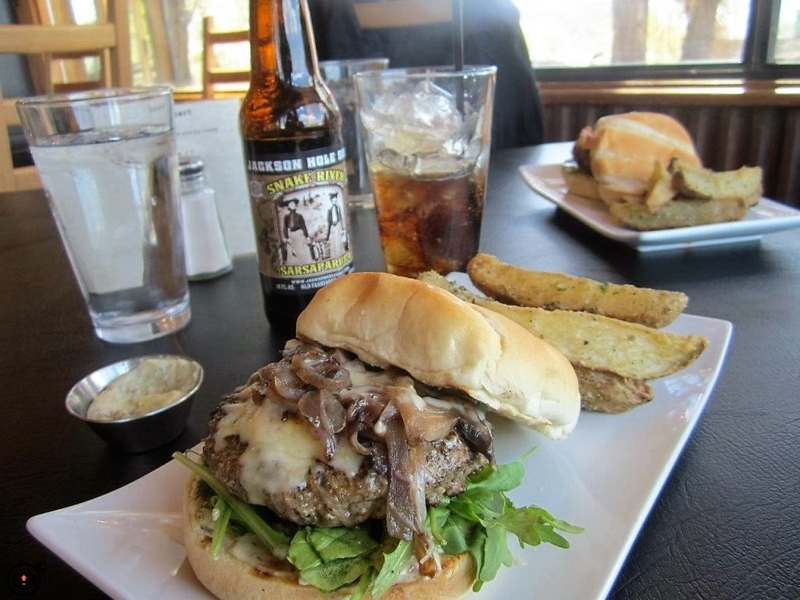 We chose the Mushroom Melt burger that came with sauteed mushrooms, caramelized onions, and melted Jarlsberg cheese. The other selection was a Red Rock burger that came with guacamole, home-made fresh salsa, chipotle aioli, and smoked cheddar cheese. 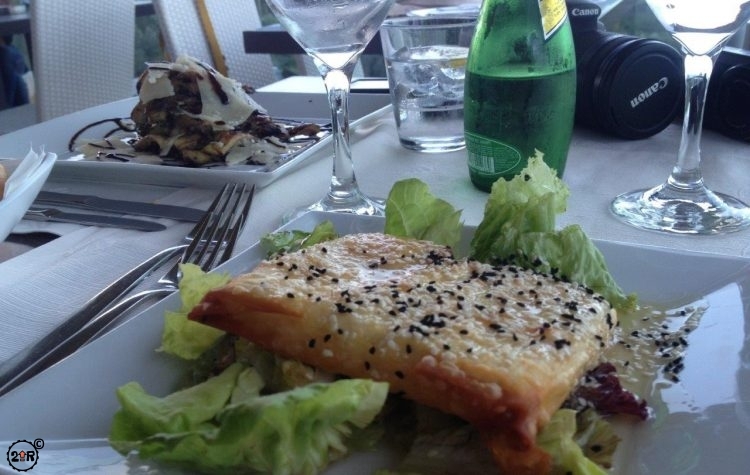 With a side of herb roasted potatoes, it was a lunch made in heaven! One of the best burgers we’ve had in a long time. 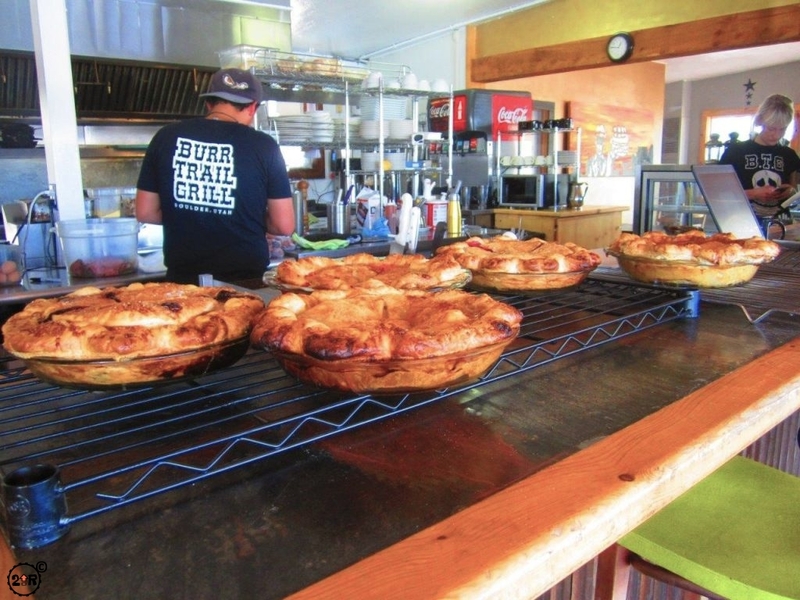 They have several pies to choose from for dessert including berries, apple, peach, and whiskey chocolate (whaaaat?!?) just to name a few. We ended up splitting an apple pie with ice cream and it was amazing. You must stop here if you’re traveling through. We’ve got a couple more surprises and worthy treats on UT 12. See below! 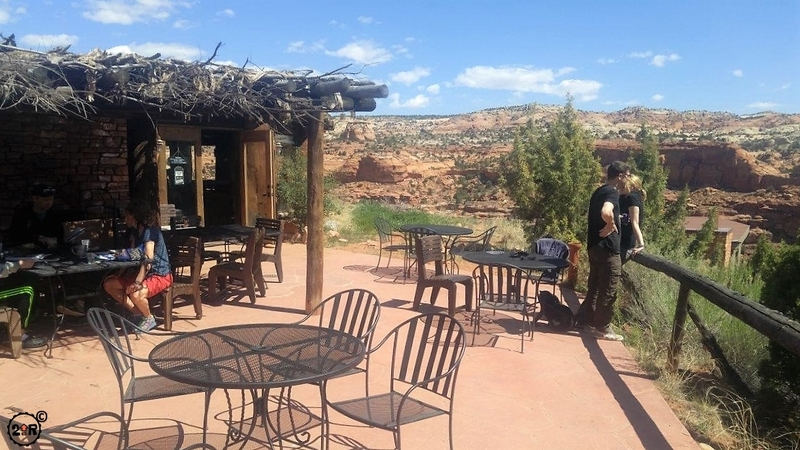 In Escalante there’s a great little ice cream shop right on the main road. Nemo’s Drive Thru doles out soft serve ice cream complete with all the toppings. They have a full menu of fast food type offerings as well, not to mention the shakes and hand scooped ice cream, it’s just not that often anymore that you can find soft serve! It often has a line of customers but the wait isn’t long. 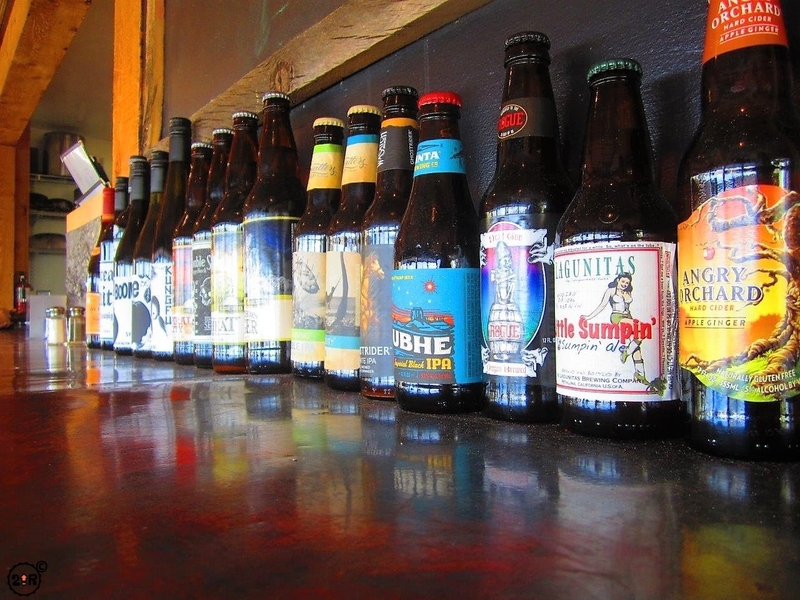 It’s just a cool place to kick back and enjoy a cold treat on a hot summer day of travel. 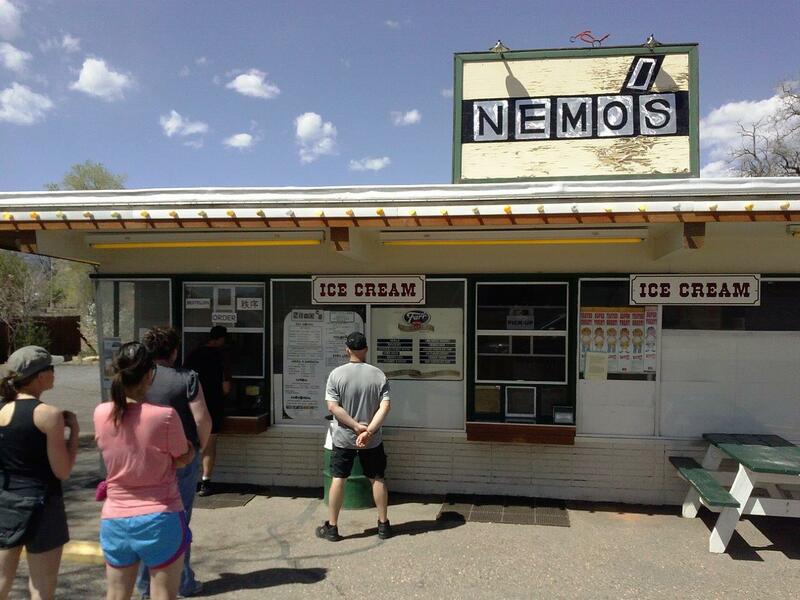 Nemo’s is a great place for soft serve ice cream right on UT 12 in Escalante. 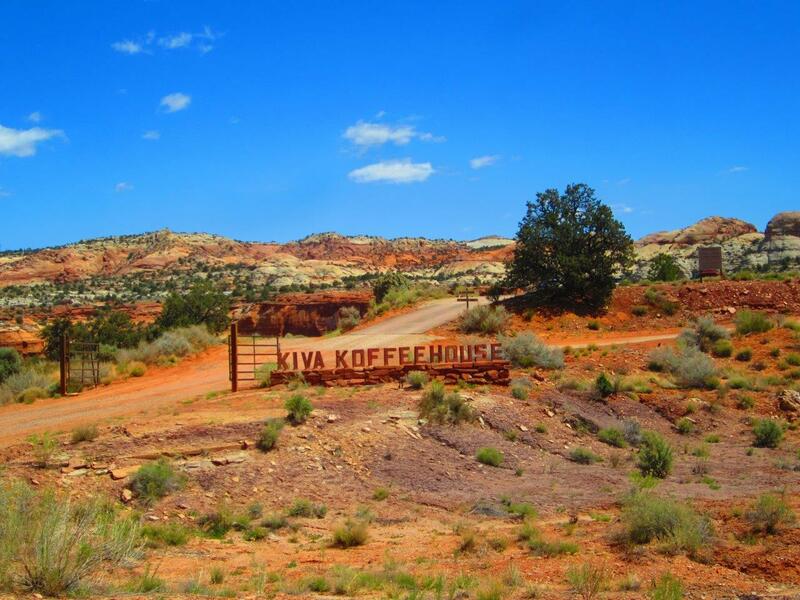 Kiva Koffeehouse is another good stop, halfway between Escalante and Boulder. Be aware as you get close because it’s not easy to see, what with it being built right up against a cliff. There’s some good signage, just keep your eyes open. The round wooden building looks really authentic. 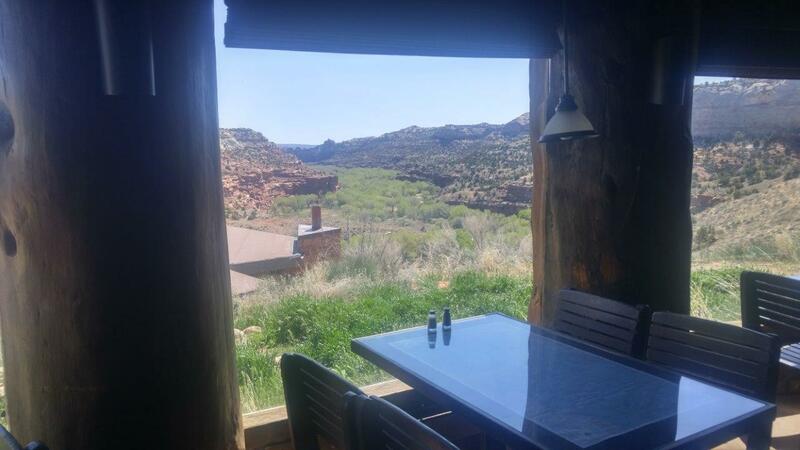 Inside the decor is eclectic and with big windows set between giant 2-foot round logs, you get an excellent view of the red rocks and the valley below. The tables all have maps in them of the surrounding area, so you can even plan a day’s trip while kicking back! It’s a really peaceful and scenic view of the Escalante River where it’s joined by Calf Creek. There are some great coffee and breakfast offerings. The lunch menu was a bit thin, but they told us they were planning on expanding it. 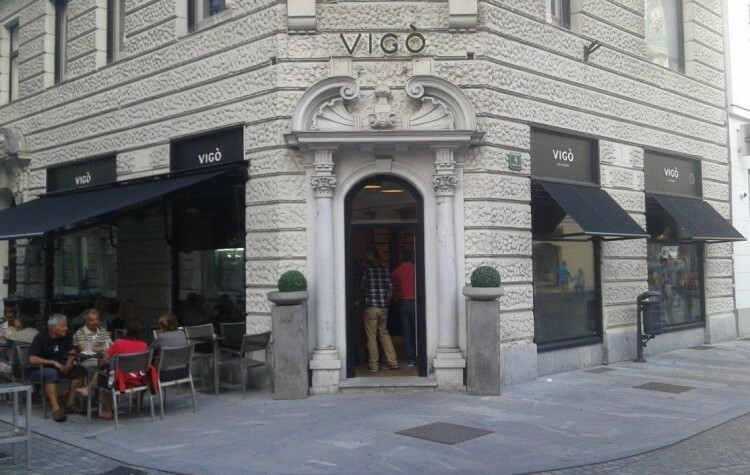 Since they close at 4:30, they are only an option for breakfast or lunch and perhaps an afternoon coffee. 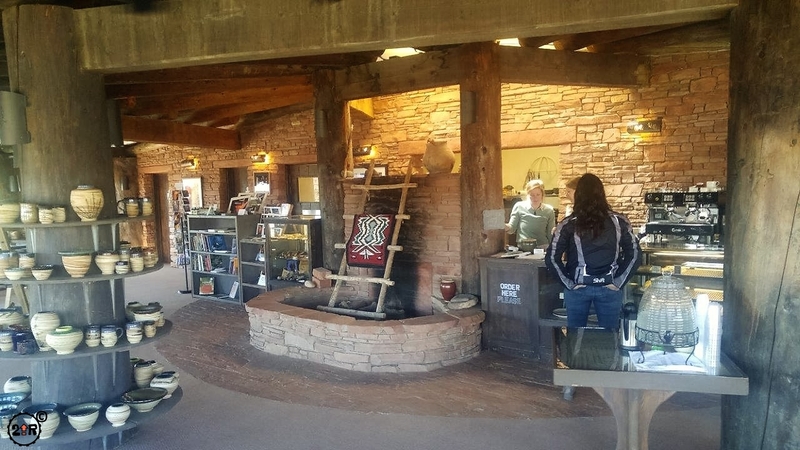 If you need a place to stay, they offer the Kiva Kottage, but it’s often booked to check ahead of time on their website, or call. Cevapi, mixed meat grill, Herzegovina mixed grill, lamb on a spit. 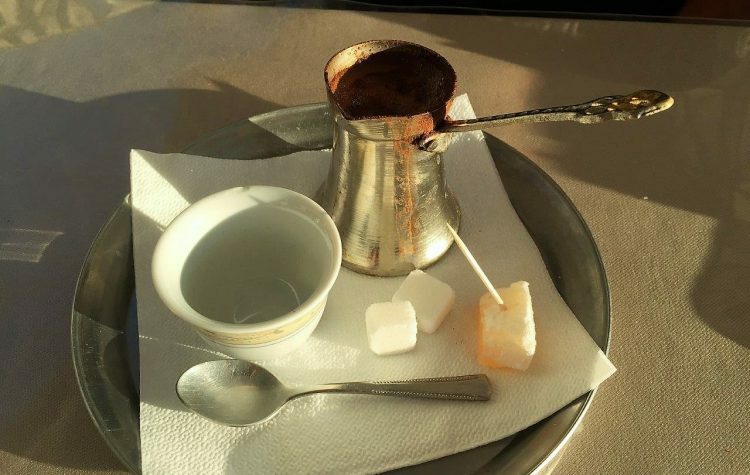 Bosnian food is not typically on the top of the list for most foodies, but Bosnian food is awesome!